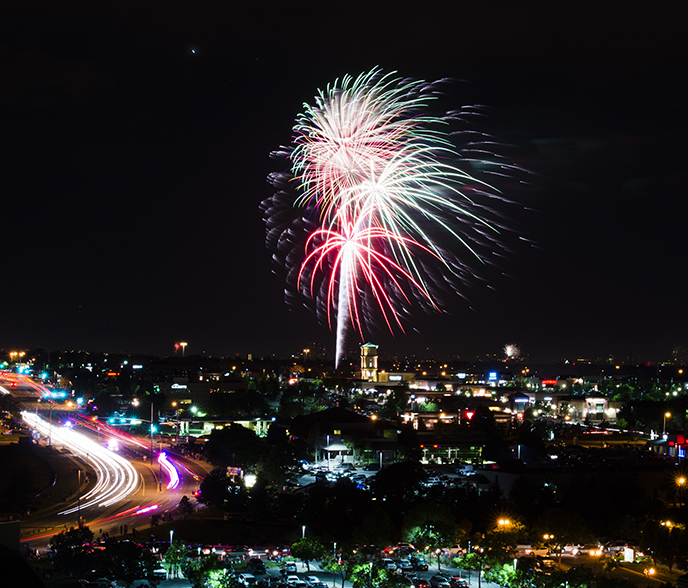 The city of Aurora, Colorado will celebrate the 4th of July Spectacular and Independence Day with a fireworks show that will lit up the night sky. The Aurora Municipal Center Great Lawn will feature dance-worthy live music, delicious food and a fireworks display revered as one of the best in Colorado. The event opens to the public at 6:00 PM with live entertainment. Fireworks start at 9:30 PM.